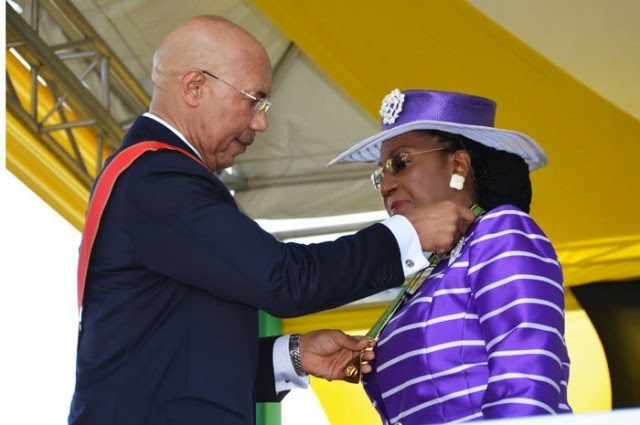 BORN TO LEAD: Walters is officially made a member of the Order of Distinction by Sir Patrick Allen during her installation ceremony last Thursday. In front of hundreds of residents, well-wishers and parish representatives from across the island, Norma Lorraine Walters, regal and smart-looking in vivid lavender, took the oath of office as the new Custos of St. Ann, vowing to address problems facing the parish while assisting with consensus and building team support. She's the first woman to ascend to the lofty post in the garden parish. During the lavish installation ceremony on Thursday, March 13, on the well-manicured lawns of the Seville Heritage Park, Governor-General, Sir Patrick Allen, conferred on Walters the insignia of the National Order of Distinction (OD), along with the Grand Commission and the Magistrate's Roll for St. Ann. While PM Portia Simpson-Miller has hailed Walters as a woman who "embodies the finest traits of a Custos Rotolorum," Sir Patrick used the occasion of her appointment to speak to the idea of leadership as it pertains to nation-building, starting at the community level. "I urge you all to stand with the people of St. Ann. Especially you the leaders in our communities, our pastors, JPs, our teachers, police, social workers and others," he said in his address to the gathering. "Wherever you live, wherever you are, I urge you to play your part in a national movement for the restoration of peace, love, honesty, forgiveness and reconciliation in your parish." In rising to the high office, Norma Walters succeeds her husband, Radcliffe, who occupied the post for 14 years. 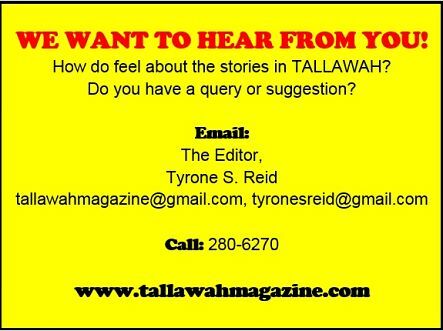 She has responded to the appointment with an eagerness to serve and make a difference. "I plan, in partnership with the JP association, to work for the health and well-being not only of our young people but for their families and our people," she noted during her maiden speech. A Kingston-bred mother of two, Walters' exemplary work in St. Ann over the years has seen her lending her time to bodies like the parish's homecoming committee and the St. Ann Cooperative Credit Union.